It's another first peek at something good inside. 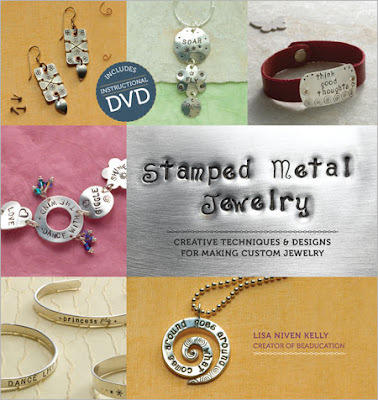 Lisa Niven Kelly's new book, Stamped Metal Jewelry is about to be published. There was a little dance around the house in slippers and a robe while drinking coffee right after spotting my contribution in the upper left hand corner of the cover. 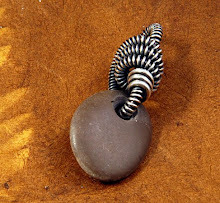 Thinking back to the time I made the earrings, I was very nervous about getting it perfect as possible as LNK is the Stamping Queen. I must have made about 5 or 6 before all the stamps came out even. Ah, but look even the title of the book is stamped, nice touch.